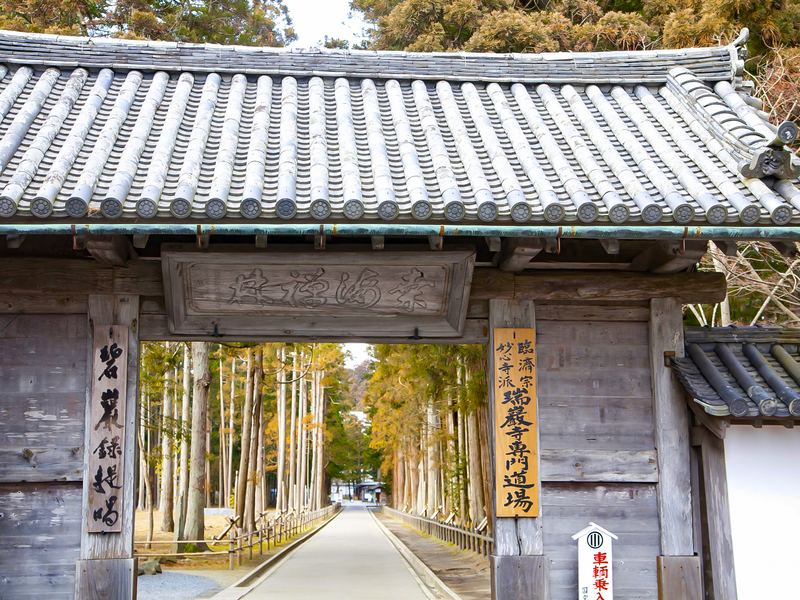 The opening of Zuiganji Temple goes back to the early days of the Heian Period. During this time, the temple was known as Enfukuji, later coming to be known as Enpukuji. In the early Edo period, the temple was rebuilt into a grand Buddhist temple and its name was changed to Zuiganji by Date Masamune, who grieved the decline of the famous Enpukuji. The temple’s existing main hall, its Onarigenkan entrance, temple kitchen, and corridors are national treasures. Meanwhile, the Onarimon Gate, Middle Gate, and Taikobei wall are registered as Important Cultural Properties of Japan.